The introduction of further measures from HMRC from 6th April means that a contractor will only be able to claim travel (including subsistence) if the contract assignment they are working on falls outside Supervision Direction or Control (SDC). This is regardless of how the worker has structured him or herself. So, if you are working as self employed or via an umbrella company you will need to assess your SDC status before you start your assignment in order to determine whether travel expenses will have tax relief applied to them or not. If you need an umbrella company that understands SDC and will allow expenses if you fall outside the legislation then please visit www.crystalumbrella.com. To find out your SDC status, please complete the following questionnaire. When you have completed the 14 questions, the results and recommendations will be emailed to you together with some explanatory notes and guidance as to your options. Providing your answers reflect the actual working practice of the assignment then the results will also reflect the working status and can be relied upon. Should HMRC investigate and determine that the working practice did not reflect the answers given then no recourse could be made to us or our professional advices. You may also find that completing the questionnaire with false information could render you personally liable for any tax and national insurance relief applied incorrectly as a result of the questionnaire. Please enter your details here so that we can send you the advice after you have completed the questionnaire. Will HMRC question me in relation to the status? HMRC’s position is that everyone is caught by SDC and therefore the intermediary – if it allows tax relief on travel expenses – needs to provide evidence to support the reason why SDC does not apply. The leading independent tax experts Gabelle have prepared our questionnaire so it is highly unlikely, however, our professional indemnity insurance would also provide comfort in any case. The intermediary and its directors are responsible for ensuring the correct taxes are deducted and paid and it’s their responsibility to provide evidence accordingly. If evidence is provided by a third party and that evidence is provided fraudulently then liability can pass to this person or third party. An intermediary is a company between the actual worker and the end engager; this can be the umbrella company, a personal service company or a recruitment agency. Does this legislation affect all contractors? Yes, all workers regardless of structure, if working through an intermediary, are caught by this legislation. 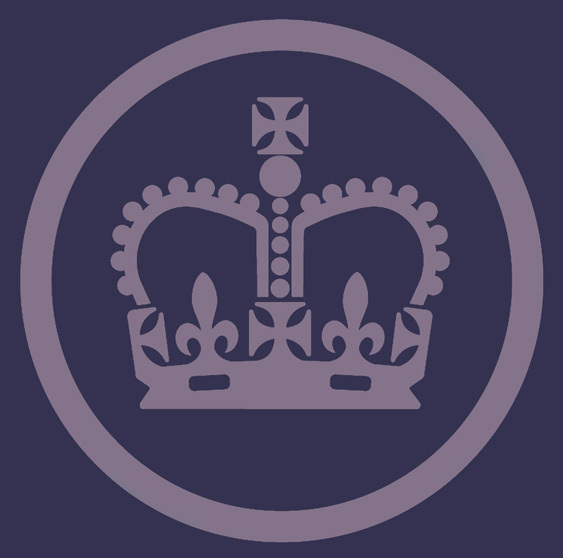 Has HMRC approved your questionnaire? No, HMRC will not rubber-stamp any tool in this regard. However, they do take into account any assessment you undertake. The key is to retain evidence and our questionnaire will help demonstrate you have attempted to ascertain the actual working practice. I use an umbrella company so they are liable. Yes, the umbrella company is liable so they will also assume that you are caught by SDC and not allow travel expenses unless you can demonstrate you are not. By completing this questionnaire the umbrella company can use this as evidence of your status. I still have lots of questions, who can I ask? Feel free to contact us in the first instance, it’s free and our friendly team are waiting to help you. From 6th April HMRC introduced new legislation relating to the way contractor status is determined and ultimately how they will be paid. While this is only one of a new wave of measures to tackle avoidance within the contracting industry, we must highlight that HMRC does not always get things right (IR35 is an example), but whatever it does, right or wrong, has far reaching consequences. As with all HMRC led initiatives things are not straightforward, so we will explain in detail. Since 6th April a contractor can only claim travel (including subsistence) if the contract assignment they are working on falls outside of Supervision Direction or control. This is regardless of how the worker has structured him or herself. HMRC have stressed they are only focusing SDC on the method of how the work is undertaken, not when and where, so a worker who is told where to undertake the work and at what time will NOT be under SDC for these purposes should he/she be able to determine how the work is then undertaken. A good example is an IT developer requested to visit the client site at 9 and leave at 6, being told what software platform to develop on. However, upon arrival at the site the developer receives instruction to design and implement a new piece of software to give a certain result. The worker goes off and starts working autonomously in creating this software, stopping now and again to check in with a progress report for the client. The developer, being regarded as an expert, is therefore able to undertake the actual work as he or she sees fit. In this scenario, the worker would be able to convince HMRC that while there is direction and control, there is no SDC in relation to how the work is undertaken. While this example is a simple one to determine, others may be complicated because HMRC has suggested that SDC can be “implied”, so even if in practice SDC doesn’t happen but the client has the right to exercise SDC then the status would fail in this regard. Under this new legislation, HMRC has also created “personal liability” for the directors of the company employing the worker, that is either the directors of the umbrella company or the actual worker of a Personal Service Company (PSC). So unlike IR35, where getting it wrong may cost you the company – the worker walking away with no financial penalty – getting this wrong has significant financial penalties. Instead of keeping things simple and having one test for all, HMRC decided that workers with a Personal Service Company could use IR35 to determine their SDC status. If the assignment falls within IR35 then no tax relief on travel expenses to the site will be claimable. Visiting www.IR35advice.com will provide further information and an IR35 test questionnaire. With an umbrella worker, the umbrella company now needs to undertake an assessment of the working assignment, which is often difficult due to the lack of contractual arrangements with the end hirer. Therefore, the umbrella will rely on the workers to undertake this assessment on our behalf. Either way the umbrella company needs to gather information to determine the SDC status to ensure the correct tax relief is given. The test that will be used for our umbrella companies can be found here but it needs to be remembered that only a correctly completed questionnaire can be relied upon for SDC purposes and that any fraudulently completed questionnaires can be subject to transfer of debt. As with all new legislation the devil is in the detail and with few test cases to rely upon, compliance activity needs to remain high until clarity becomes available based on fact rather than opinion. Where a worker provides his services wholly in the client’s home. Multi-site assignments – such as District Nurses – travel from home to the hospital is not claimable, however, travel throughout the day to various patients is claimable but not the journey from the last appointment back home. Travel and subsistence includes accommodation, mileage, actual travel costs, such as bus or train fairs and food and drink. However, travel does not include incidental costs.